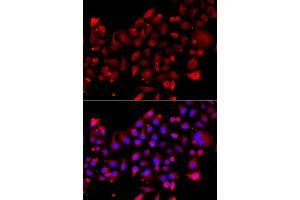 Immunofluorescence analysis of A549 cell using RRM2B antibody. Blue: DAPI for nuclear staining. Characteristics Rabbit Polyclonal to RRM2B.